With a stay at this Downtown Toronto hotel, you'll be steps from Hockey Hall of Fame and Sony Centre for the Performing Arts. St. Lawrence Market and Scotiabank Arena are also within half a mile (1 km). A full-service spa, a 24-hour fitness center, and a restaurant are all featured at this eco-friendly hotel. Traveling on business? Take advantage of the business center, laundry service, and valet parking. Enjoy the spa tub and free continental breakfast each morning. The 69 guestrooms feature well-equipped kitchenettes with refrigerators and microwaves, as well as free WiFi and balconies. Flat-screen TVs, minibars, and premium bedding are also available. Private bathrooms are not ensuite. excellent location that let you go walking to most of the attractions in Toronto. Near to the airport to (25-30 min approx) Very comfortable room, spacious, and clean. It was defenitely a good choice and if I go back to Toronto, defenitely I'll choose this hotel. This was a typical contemporary downtown hotel. I believe some of the units are also owned. Very bare interior with only a double bed and 2 chairs, no sofa(bed). Probably best for a single business traveler. Walking distance from a lot of tourist destinations. Great location. We stayed on the 25th floor and could see the entire City! Thank you so much for you feedback! We really appreciate it and we hope to see you again! The entrance is in an alley. We didn't know we had to pay for valet parking until we got there. The only good thing was the one young man was great when getting our car when we needed it. Ordered a taxi once. The front desk sent it away. They said, "they didn't know we ordered one." We didn't know it was there business that we needed to tell them. Then they said it wasn't the company they used! The view was horrible. One window's view was a brick wall of the building next door. The other windows faced an office building The balcony was scary. ( see photo) Heating and cooling troubles too hot or too cold. Not thrilled with my choice. Great city. Great location. The Wine bar is awsome, don't miss it. I will definitely be returning. Hotel experience was very, very good. Quirky "Zen" boutique hotel concept turned out very well. Washer, Dryer, Dishwasher, microwave gave the suite the feel of a tiny city apartment. Nevertheless, the modern decor, Zen supporting paraphenalia and "5 suites to a floor" led to a unique experience. No traditional formal lobby, quiet bar/restaurant, minimal exercise equipment room - but this hotel is all about the suite anyway. Extremely good location between St. Lawrence Market area and Financial and Entertainment Districts. Not for children ... and none were in sight. This was a cozy yet chic hotel in the heart of Toronto with excellent views. Cons: had to ask for two robes. My daughter and I enjoyed the modern yet relaxing vibe of this swanky hotel in the heart of Toronto. Plenty of restaurants were available within walking distance and the location was convenient to the subway as well. We loved our room and especially the outdoor balcony and large windows for a fabulous city view. Next time we need to make time to enjoy the spa. Sells a Zen-like tranquillity, and it probably is. Nice spacious room, very polite and helpful staff, comfortable bed, and slightly off the main drag, so a bit quieter. Balconies aren't for sitting on, but being able to open a window makes a nice change from the normal corporate hotel. Easy walking distance from 'the Bay', and the Eaton Center for shopping. Continental breakfast uninspiring. This hotel had many benefits. Great location in downtown Toronto! Within walking distance to a lot of restaurants, sports center, and shopping. Also, near a parking lot so you can opt out of valet service. Executive Hotel Cosmopolitan Toronto offers its guests a full-service spa, a spa tub, and a 24-hour fitness center. There's a restaurant on site. You can enjoy a drink at the bar/lounge. Free breakfast is served daily. Business amenities include a business center, limo/town car service, and a meeting room. Tour/ticket assistance, multilingual staff, and concierge services are also featured at the eco-friendly Executive Hotel Cosmopolitan Toronto. Limited parking is available for a fee and is offered on a first-come, first-served basis. This 4-star Toronto hotel is smoke free. Executive Hotel Cosmopolitan Toronto offers 69 air-conditioned accommodations with minibars and safes. Rooms open to balconies. Beds feature premium bedding. Flat-screen televisions are featured in guestrooms. Accommodations at this 4-star hotel have kitchenettes with refrigerators, microwaves, cookware/dishes/utensils, and coffee/tea makers. Rooms have detached private bathrooms. Bathrooms include showers with rainfall showerheads, bathrobes, slippers, and designer toiletries. This Toronto hotel provides complimentary wireless Internet access. Business-friendly amenities include desks and complimentary newspapers, as well as phones; free local calls are provided (restrictions may apply). Additionally, rooms include hair dryers and irons/ironing boards. A nightly turndown service is provided and housekeeping is offered daily. Amenities available on request include hypo-allergenic bedding. 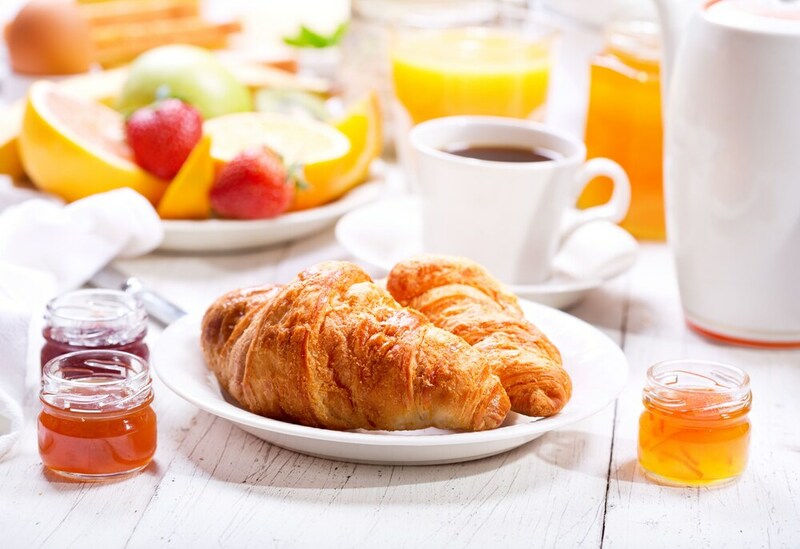 Guests are served free continental breakfast on weekdays from 7:00 AM to 11:00 AM and on weekends from 10:00 AM to 1:00 PM. Wildfire Steakhouse - Onsite restaurant. Guests can enjoy drinks at the bar. SpaZen offers massages and classic spa treatments. The hotel's 24-hour fitness center offers cardio machines, free weights, and flat-screen TVs. The hotel's SpaZen, features spa services including massages, facial treatments, body treatments, and manicures and pedicures. Spa services and treatments can be custom-designed for guests. Hotel Guests receive exclusive access to SpaZen's Jacuzzi Relaxation room on limited reservation basis.